Dreamy, decadent, sweet and easy to make. Is there anything more you could want from a dessert? 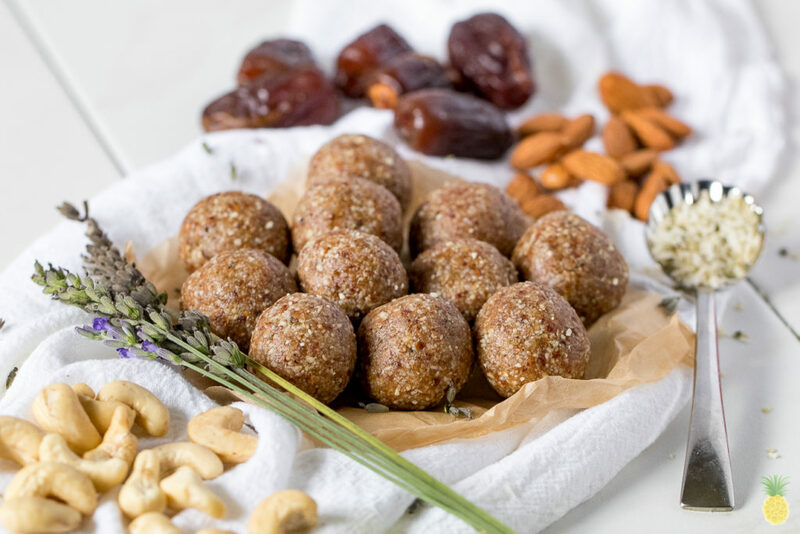 I fell in love with these lavender bliss balls at first bite and I can assure you that you will too.These have the perfect amount of floral flavor added into them, balanced out with the sweetness from the dates and maple syrup. 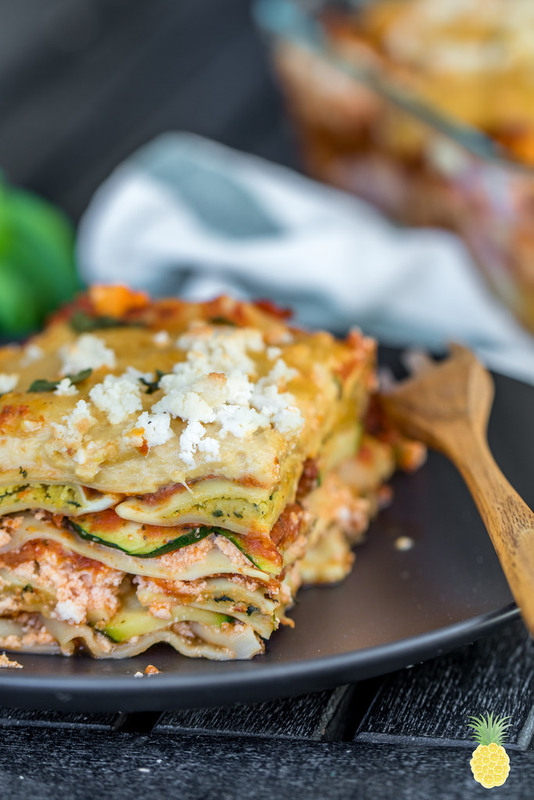 This recipe is adapted from one that Chris’ mom put together while we were visiting his family last month. I remember she was nervous to have us try her lavender bliss balls because of their floral flavor, but she assured me that she loved them and felt I would too. Well, she was right! And after just one ball, I told her I just had to have the recipe to share on our blog. Last year when we visited New Jersey, Chris’ mom put together vegan meatballs that also inspired another recipe on our blog, our Eggplant Meatballs from the start of the year. If you haven’t already, check them out! They are one of the most popular recipes on our blog, and I know I am biased, but trust me when I say it’s because they are SO GOOD. 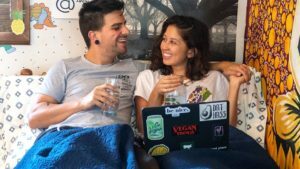 Make sure you tag us on Instagram @sweetsimplevegan and @consciouschris and hashtag #sweetsimplevegan if you recreate any of our recipes, we love to see your photos! 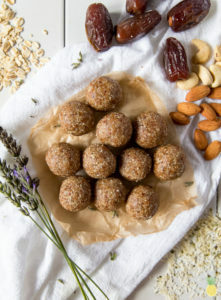 An easy, dreamy & decadent lavender bliss ball recipe that is vegan, gluten-free and oil-free! It makes the perfect grab and go dessert or add on to your lunch box during the week! 1. Add all of the ingredients up to the ginger powder into a food processor and run until uniform. 2. Add the dates and drizzle in the maple syrup and vanilla extract then run again until smooth. It will seem a bit crumbly but should stay together when you press it between your fingers. If not, add in 1/2-1 tablespoon of water. 3. Scoop dough into a 1 tablespoon-sized ball, being sure to press it tightly to help it stay together. Continue until all of the dough has been rolled into balls. 4. Store in the refrigerator for up to 1 week. • You can sub in any nut of choice for the almonds and cashews, walnuts work great! 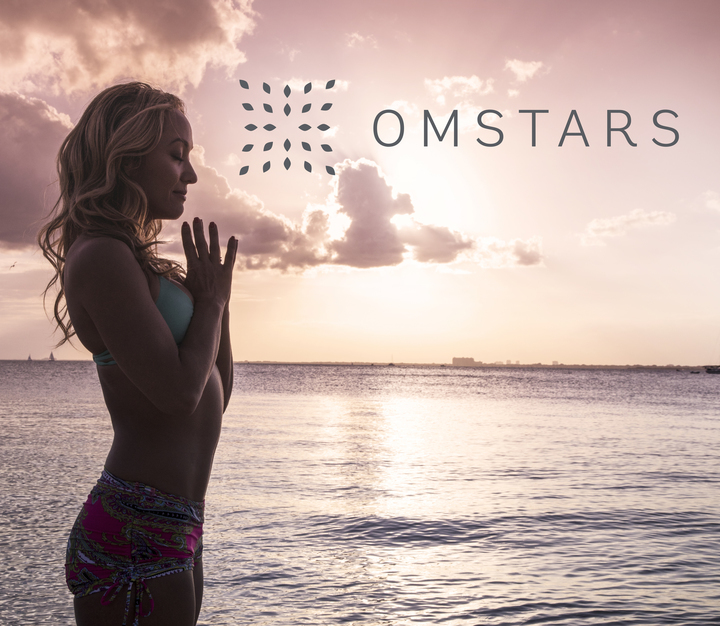 We’ll have more incredible plant-based recipes and cooking with Jasmine Briones on Omstars Wellness channel in 2018, so stayed tuned.